Who says La Liga is boring and predictable? Ok the title race proved a pretty elitist affair in contrast to the rest of the division and Real Madrid and Barcelona’s finances do explode off the chart compared to their 18 fellow Primera amigos, but when teams like Levante surprise us all by finishing 6th then much of the previous becomes insignificant. To understand the scale of what Levante achieved last year, try to imagine Wigan leading the Premier League for a bit, beating Manchester City in the 3rd game and maintaining their charge to finish in a Europa League position. And that their transfer budget amounts to half a million pounds over the last four years combined! Spectacularly enough, all of that happened, albeit in Spain where Los Blancos rule and the Blaugrana clean up elsewhere. Ignoring the overwhelming dominance of two indomitable presences, Levante proved to Europe that success didn’t necessarily have to be built on the quickly-disappearing Euro. You might agree that a touch of Madrid’s limelight deservedly shone on Levante as their fairytale season came to an end. In his first season with the club, Juan Ignacio Martinez took Levante to the top of La Liga and into Europe for the first time ever. Considering the team had managed a 14th place finish last term with almost all of the same players, the achievement speaks for itself. His team surprised many and managed to finish above the likes of Bilbao, Sevilla and Villarreal. An overwhelming surprise package, Martinez’s tactics are quite the opposite. 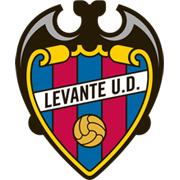 Vehemently sticking to basic orders of defending stoutly and working hard when out of possession, Levante managed to carve out wins irrespective of the growing age of their squad. Many expected naivety to settle in whilst the team clung onto their lofty position. Fatigue and a lack of cojones became frequent words to fall from bedazzled pundit’s gaping mouths yet none of those factors affected the determined Valencian outfit. For much of the season Levante barely fluttered an eyelid and beat Real Madrid, Malaga and Atletico Madrid in the process despite the lack of chances that came their way. Reborn, Arouna Kone became the revelation of the season. Emile Heskey’s goalscoring record looked like Lionel Messi’s compared to the Ivorian’s but 17 goals later, posting a tidy chance to goals strike ratio, and Kone had become a revered man in La Liga. Thankfully for Levante, his deal has become a permanent one this summer as more expectation lies upon his shoulders. As impressive as they were last season, Levante surely can’t expect a similar season to the last. Limited resources will peg back the club as an extended European season beckons. A faded smugness has returned in journalist’s pieces as the joyous period in Levante’s history is predicted to return to normal. And even if it does then a season in Europe might just be the best treatment. Martinez’s team will stick to similar tactics and Arouna Kone will again be the dangerman. Growing knowledge of a simple strategy around La Liga could affect them this year and Kone will be lucky to get as much space as he did last year as a result. Yet their impressive resolve shown last season by no means labels them as a one hit wonder. 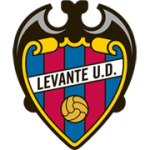 A long drawn out season in the Europa League could prevent them from mounting another 6th placed challenge and the resulting fatigue could make relegation an issue but Levante are organised and bullish. They’ve set the bar high and the achievements of last year won’t perish their self-belief. Avoiding relegation is vital and anything else would be a bonus. Levante just want to enjoy as much of this golden period as they can.